Parents have almost always had a wide range of choices when it came to buying products for their children. Although having a vast selection is nice for variety, it makes it difficult to pick out the best products. This is what prompted Mauria Finley to found Citrus Lane in 2011. Based in Mountain View, California, the company has a mission to provide parents with helpful information and also recommend some of the best products for them to invest in. All recommendations are backed not only by their very own hands-on research, but from reviews provided by the user community as well. After just a few years in operation, the company's success prompted Care.com to bid to acquire it. This newfound partnership has helped catapult Citrus Lane into a position to help many more parents. 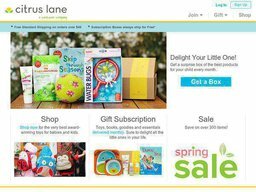 If you're looking for the official Citrus Lane website, then you'll need to head to citruslane.com. You will find that there is a shop on the website enabling you to buy recommended products. Another way to use the site however is to purchase a monthly subscription where you'll receive products automatically as long as you're a member. Citrus Lane is proud to offer all sorts of helpful information to those trying to raise children. If you want access to all of these tips, then you should consider joining their newsletter so they're delivered right to your inbox. By signing up, you would also receive deals for your online shopping ventures. One of the best things about the brand is that they've built a community on the website where you can connect with others just like you. Each member does things like votes on products that they've used and would recommend to others. By becoming a member yourself, you would be entered to win a special vacation. Website visitors will also find useful guides on the website that enable you to pick out products. For example, they have guides on picking out baby shower gifts, must-have breastfeeding products, and the top 25 toys for your new baby. You can also view the guides based on the particular category that they cover. These categories include learning, milestone achievements, travel, and gifts. There is also an official iPhone app that you can get in the iTunes store. You will find the brand on social networks like Twitter, Pinterest, and Facebook. Citrus Lane sells merchandise in boxes that include various useful products. They're categorized by baby, toddler, and preschool age. If you're searching for a gift, then you can find them by categories as well. 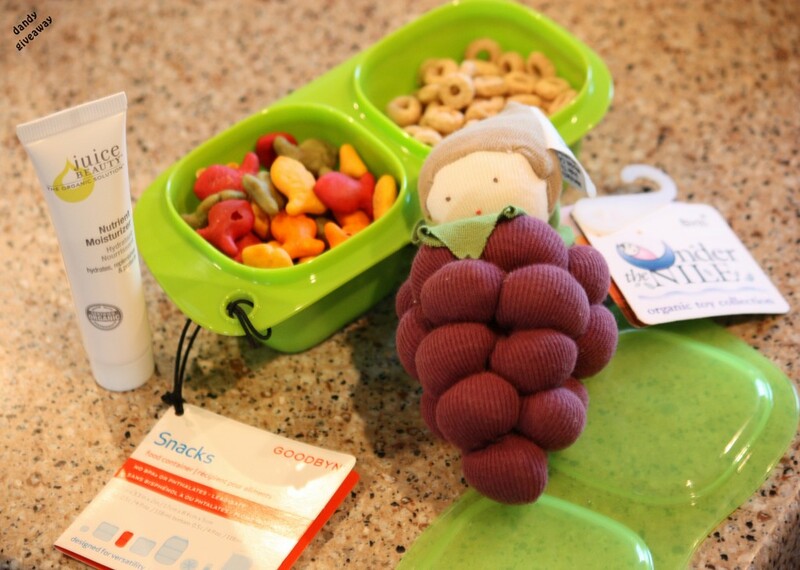 Many parents pay particular attention to brand when it comes to shopping for their children. On Citrus Lane, you can filter based on brand and will find some of the most popular such as Bumkins, Mudpie, Skip Hop, and 3 Sprouts. Saving money when shopping for your child is a breeze thanks to Coupofy Coupons. You will find a dedicated list of deals and coupons that you can use when shopping at Citrus Lane. Any deal that you're interested in can simply be clicked on to be taken right to their official website for savings. Major credit cards can be used to purchase items or enroll in a monthly subscription. You can also use a gift card if you have received one. Shipping is FREE for subscription packages being sent to addresses within the contiguous U.S.; outside that (including Hawaii, Alaska, U.S. Territories, as well as APO, FPO, and DPO addresses), shipping is just $4.95/month per subscription. Once you receive a box from a monthly subscription, you can't return it. If you want to cancel your subscription, you need to do so before the 1st of every month to avoid being charged. Only items that you purchase directly from the shop can be sent back for a return within 30 days.